Programmatic had an eventful year, what with ad fraud, blind-buys’ brand-risk, courtroom battles over hidden vendor fees, targeting mishaps, and more dogging the industry throughout 2017. Despite all that, programmatic spending is at an all-time high, especially on PMPs. PMPs — private marketplaces — are popular for reasons that range from brand safety to better transparency. On publishers’ end, private marketplaces mean autonomy over who to trade inventory with and how. In this post, we take a look at how well the PMPs did this year, with data from multiple sources. Note: Private Marketplaces (or as Google calls it: Programmatic Direct) is simply a ‘private environment’ within an exchange that allows for three distinct transaction types: Private auctions, one-on-one preferred and guaranteed deals. The terms are used multiple times throughout the post. We recommend checking out the programmatic deal types explainer to keep distinctions clear. Zenith’s programmatic marketing forecasts for 2017 predicted that PMPs will surpass open-RTB buying in the US by 2018. In almost every market we looked at, the standard open RTB starts off as almost 100% of trading and then falls off. In many markets, it’s less than 50% of deal-making. eMarketer’s US Programmatic Digital Display Ad Spend estimates (2015-19), updated in April this year, verify the forecast: By the end of 2017, nearly 3 out of every 4 dollars (74.5%) spent on the digital display in the US will go to private marketplace setups. Globally, programmatic direct buys increased from $27.9 billion in 2015 to $42.2 billion in 2016. This year, eMarketer projects programmatic direct buys in these countries to collectively total $56.3 billion, with $32.6 billion coming from the U.S. Mobile ad spend is growing fast—which means mobile PMPs are taking off as well. Pubmatic’s exchange data (compiled in Quarterly Mobile Index report) for Q2 2017 shows aggressive growth in mobile PMPs. Compared to 2016, mobile impressions traded via PMPs grew by 73% and raked in 23% higher eCPMs. DoubleClick Exchange data shows a similar story, with 2.4x growth in global mobile web PMP impressions by the end of 2016. APAC took the cake, registering 150% increase in mobile impressions traded via PMPs on DoubleClick AdX. 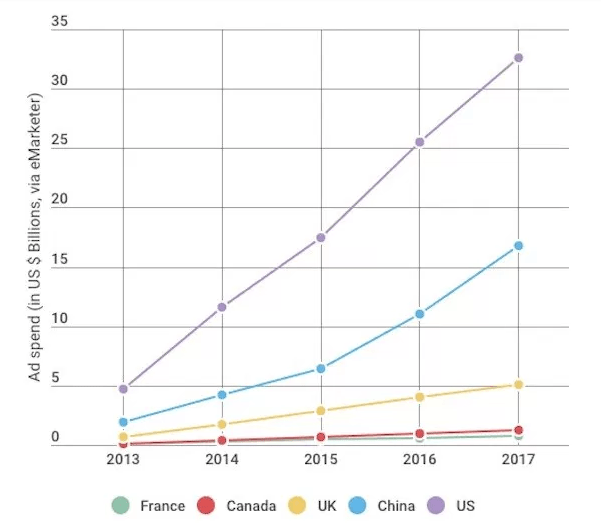 The growth in Programmatic Direct mobile impressions is particularly notable in certain countries: like South Korea and Indonesia, whose mobile impression growth far outpaced other countries in APAC and the nine other countries globally, who saw mobile impressions more than triple year over year. Data also showed that although mobile app grew in all markets, it still lagged behind when compared to desktop and mobile web. Whenever new bidders are added to an app, they have to upload their software development kits (SDKs) that allow third parties to integrate their features. Since uploading these kits slows down load times and hurts user experience, many publishers avoid mobile app header bidding altogether, regardless if the inventory is sold through private deals or on an open exchange. According to DoubleClick AdX data, nearly half of the top 50 comScore publishers were transacting inventory via private deals. OpenX reported a steep increase in the number of publishers selling inventory through private marketplaces. In the past two years, the number of pubs using OpenX for programmatic direct nearly quadrupled from just over 100 in 2015 to more than 400 in 2017. Index Exchange 2016 data showed increased exchange-wide spending YoY and 3x higher CPMs for private marketplace inventory (compared to open auctions). 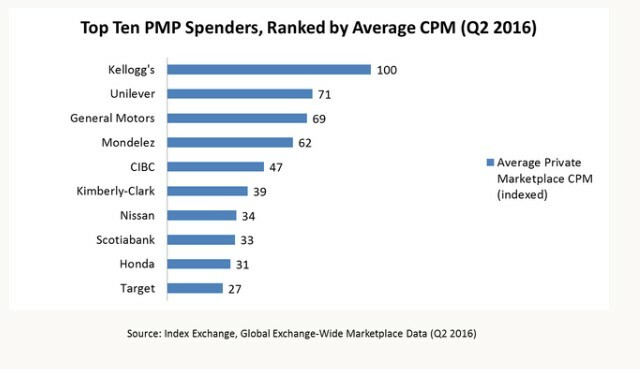 DoubleClick AdX data showed top publisher categories for PMP impression volume. Publishers under ‘Arts and Entertainment’, ‘News’, and ‘Internet and Telecom’ categories accounted for nearly 45% growth in private marketplace impression numbers. Lifestyle categories came after these at a significant margin. Lifestyle-oriented publisher categories – Travel, Games, and Shopping grew 120+%, 95+% and 90+% in 2016, respectively. With more advertisers striving to reach their audience with precision and efficiency, supply is rising to meet the demand. A recent Digiday+ survey found that the biggest buy-side complaint with private marketplaces was lack of inventory, followed by targeting inefficiencies and lack of diverse ad formats. The lack of inventory could account for actual buying behavior among these buyers: Almost one-third said they purchased less than 20% of their inventory. Less than one-fifth said they purchased more than 40% of their inventory via PMPs. Part of the reason why private marketplaces are popular right now is because they are considered relatively less fraudulent. Most fraudulent publishers don’t have private marketplaces. (For one, they don’t have sales or ad ops teams to support such deals.) This makes participating in private marketplaces generally a safer option for marketers. 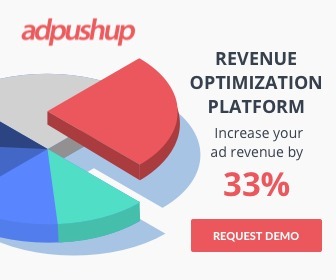 The biggest ad fraud operation, uncovered by WhiteOps’ Methbot report, debunked that myth. The attackers spoofed over six thousand premium domains, falsified over two hundred thousand distinct URLs, generated as many as four hundred million fake impressions, and targeted high value marketplaces, including PMPs. Private marketplaces continue to attract traffic sourcing due to its lucrative revenue potential. According to the 2016-17 Bot Baseline Report, 40% of domains had more bot-traffic on private buys than outside PMPs. A great example of this is the fraud we observed in private marketplaces, traditionally thought of as very clean, protected, premium sources of fraud-free inventory. But when spending surges, botty traffic sourcing is just as pervasive in private marketplaces as elsewhere. Looking at all the domains that buy bot traffic and sell via PMPs, 40 percent of the time we actually observed higher bot levels on their PMP deals than their non-PMP deals. Another fraudulent gimmick is mislabeling in-banner video (IBV) so that it shows up as ‘in-stream’ video inventory. Advertisers typically target large-size video players or buy on PMPs to avoid this. Based on Integral Ad Science data, RocketFuel reported that PMPs actually showed a higher than average instance of misrepresented IBV inventory. Despite the fraud, the growing popularity of private marketplaces means that ad tech platforms are on the road to become the infrastructure they were supposed to be—one that automated deal but does not to control them—between brands and publishers.